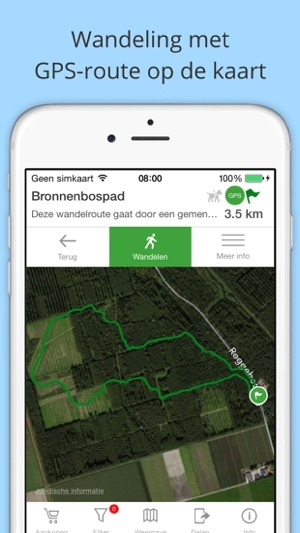 - All the long distance routes, "LAW", and "Streekpaden"
- 1.500 hiking events from "Koninklijke Wandel bond Nederland"
Intuitive and easy to use and everything combined into one app. 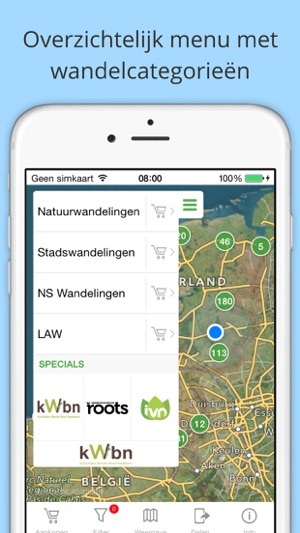 With this app you don't have to go looking for paper maps and flyers from various local organisations. 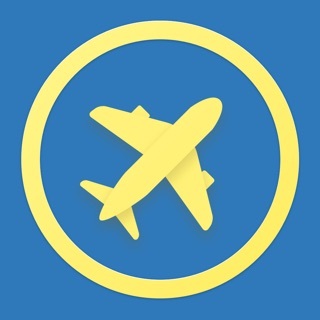 This is the app where all routes come together. 50.000 satisfied people are using this app! 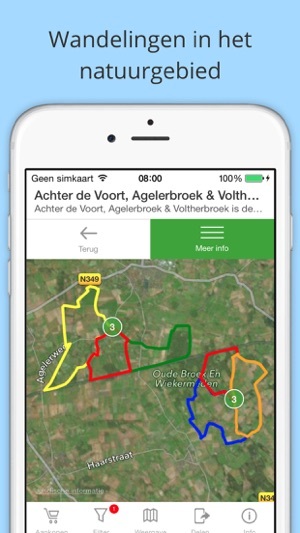 App onthoudt uw positie in achtergrondmodus. Verbeterd gebruiksgemak.